"Ben Caplan, a luxuriantly bearded lad with a grand voice and a remarkable flair for entertaining." "2b theatre company have created an extraordinary piece of theatre…"
"[Ben Caplan has] a charismatic joie de vivre that is thoroughly compelling." "...a cautionary tale that resonates in today’s unsettled times." Old Stock: A Refugee Love Story is a humorously dark folk tale woven together with a high-energy concert. 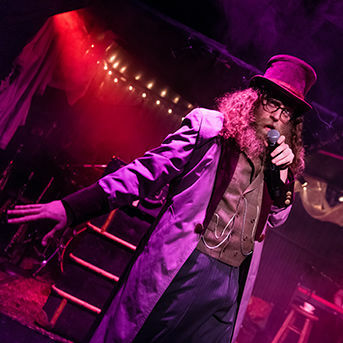 This music-theatre hybrid starring international Klezmer sensation Ben Caplan is inspired by the true stories of Jewish Romanian refugees coming to Canada in 1908. It’s about how to love after being broken by the horrors of war. It’s about looking into the eyes of God.